Breast cancer is a leading type of cancer in women. It develops from breast tissues and is a more invasive cancer in females worldwide. In developed countries there are more cases of breast cancer have been seen, because women in these countries live longer life than the developing countries, because age is one of the main factors of this disease, however survival rate in developed countries are higher and in developing countries it is lesser. In 2012 it resulted in 1.68 million cases and 522,000 deaths. A lump that feels to be different, skin dumpling, change in the skin color or texture, clear or blooded fluid, pain, swelling, organ peel texture or redness on the skin are major symptoms. There are lot of reasons of breast cancer but the most obvious can be these, getting older ( age factor ),Genetics ( women who genetics the virus from parents or who have the BRCA1 or BRCA2 have more risks of it) , A history of cancer( women who suffered earlier from cancer though it was non invasive ), Having had certain types of breast cancer, Dense breast issue, Estrogen exposure, Obesity, Alcohol consumption, Atmosphere, Radiation exposure, Hormone replacement therapy, and last but not the least Cosmetics implants may undermine the breast cancer. Cancer is classified in two major types invasive and non- invasive. Invasive cancer is when the cancer cells reach the lymph nodes and make its way to the other organs or parts of the body. Non invasive cancer is when the damaged cells remain in the affected area. Biopsy, breast exam, mammogram 2d or 3d, ultrasound, breast MRI scan or staging are the ways to diagnose breast cancer. The treatment of cancer depend on the type, stage, grade, size of tumor, invasive, non- invasive and health of the patient. 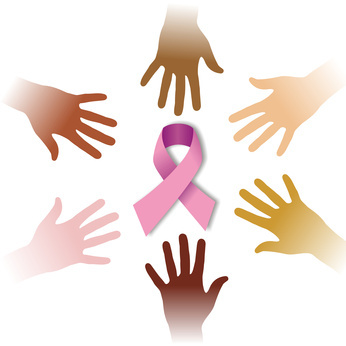 Best treatments for the breast cancer are radiotherapy, surgery, biological therapy, hormone therapy and chemotherapy.